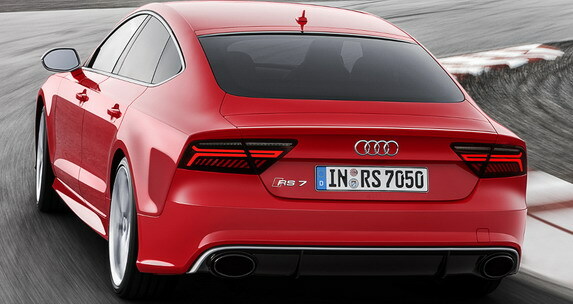 After the model A7 / S7 Sportback (pictures and details were published late last month), Audi have driven the most powerful version – RS7 Sportback. 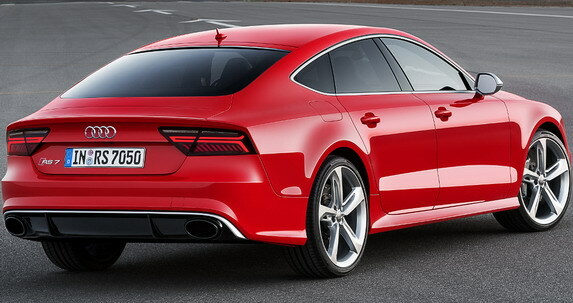 In short, the RS7 Sportback facelift has got modified front bumper, a revised grille, optional Matrix LED front lights and a modified rear bumper, while the interior is characterized by, among other things slightly embellished dashboard, improved MMI infotainment system. 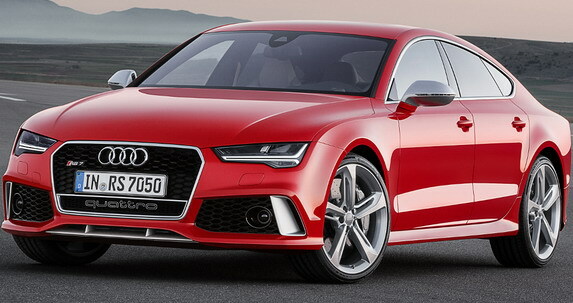 It should also be mentioned and a few new exterior colors (Sepang Blue, Mythos Black, Glacier White and Silver Foil), alloy wheels, 20-inch (and optional 21-inch), and the optional carbon-ceramic discs. 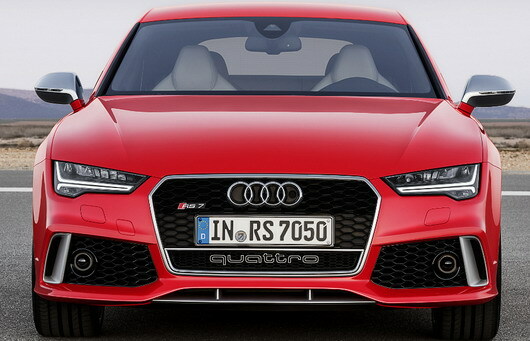 Under the hood is a 4.0-liter TFSI twin-turbo V8 engine with 412 kW/560KS and 700 Nm (516 lb-ft) of torque, paired with an 8-stage tiptronic gearbox, while the drive to all four wheels. The car is normally a long 5012 mm, width 1911 mm (with mirrors 2139 mm), 1419 mm tall and wheelbase is 2915 mm. 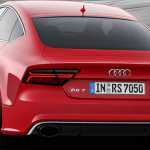 Sales of Audi RS7 Sportback facelift starting in the third quarter of this year, at a cost of 113,300 euros in Germany.